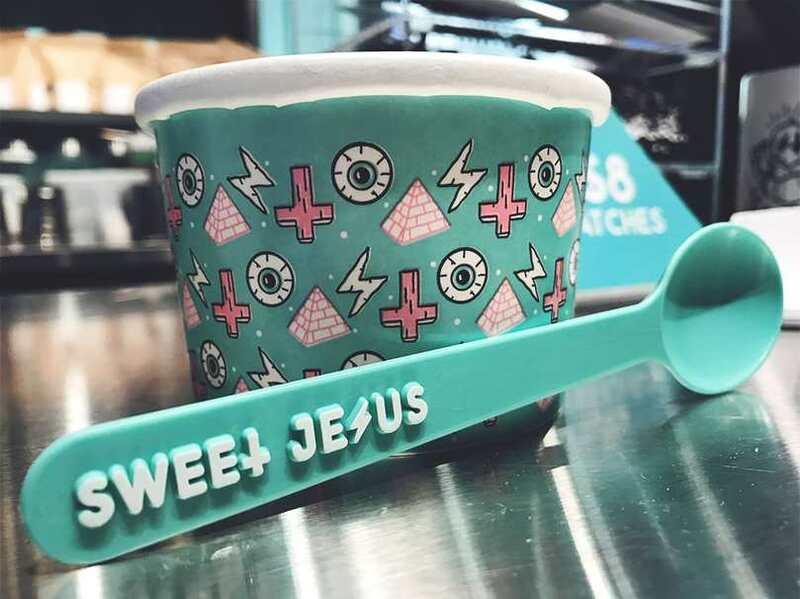 At least two online petitions are expressing concern over a Canadian ice cream chain, which some Christians consider to be blasphemous in the way it uses the Lord’s name and distorts the cross of Christ. 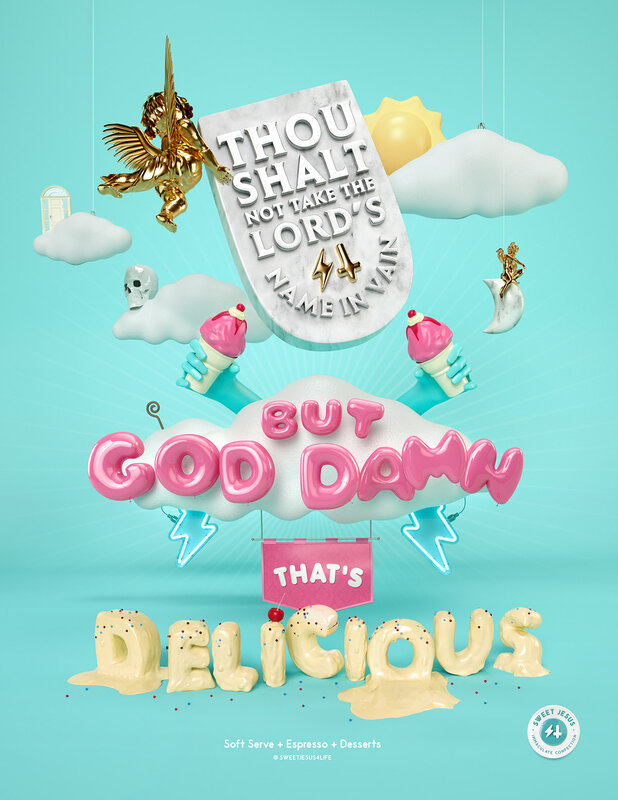 The chain “Sweet Jesus” was founded in 2015 by Andrew Richmond and Amin Todai, and is stated to have been named after an employee’s exclamation when tasting the ice cream. However, online photos show that some locations of the ice cream eatery use an upside down cross for the “t” in “sweet,” and spoons and cups also bear the inverted crucifix. Flavor names include “red rapture,” “hella nutella” and “sweet baby Jesus,” and among its drink choices are bottled “holy” water. “Bless your mouth,” the eatery’s signs read. View the advertisements here and here. “God forbid the name of the prophet Muhammad was used in this manner or the name of Allah against Muslims. So why is it that the name of Jesus Christ can be openly mocked in our so called fair, equal, and democratic society?” he asks. “[T]his is anything but a mere mistake. Both in their promotional materials and menu selection, it is plain to see that Richmond and Todai have every intention of mocking Christ and Christianity,” reads another petition on CitizenGo. Signers of the petitions agree to boycott the ice cream chain until it changes its name. The company has 113,000 followers on Instagram, and while the majority of its locations are in Canada, one eatery is open at the BWI airport in Baltimore, Maryland.